Odessa in the summer it’s mostly 24h for total relaxation on the beaches. Fortunately, there are a lot of places in this city where you can sunbathe in the daytime, and go dancing wild from the dusk till dawn. Then repeat everything again! In this regard, a very win option will be Bardobar. This is a new place, which is situated on the famous Bolshoj Fontan, where you can relax physically and morally (immorally, joke). In the afternoon there’s beach with a library and SUP-surfing courses, and also with a TV, settled directly above the water, where films and TED-lectures are shown. At night every party has no limits. Famous DJs, cool sound and dance floor with 200 square meters area. Cocktails flow like the river for every taste and color, and a pocket. It is perfect way to meet the dawn in Odessa. Only for pink flamingo lovers: we suggest you to visit Bright on Beach. 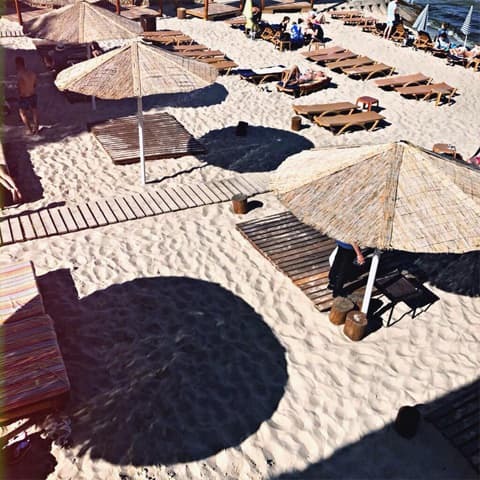 This is the most gentle and feminine location of all Odessa beaches. First of all, there is a striking stylish design and everything is pink. 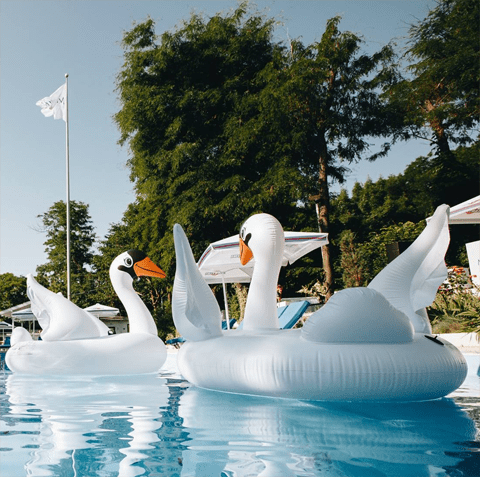 There’re inflatable flamingo and donut, here you can taste Aperol Spritz and enjoy the shadow of a large umbrella or tent, where you can relax with your friends. Perfect place for Instagram photographies. Another beach nearby Otrada — the closed VIP-terrace of Mafia Rave Terrace. This is a beach complex, but with silence and an abundance of green landscapes. 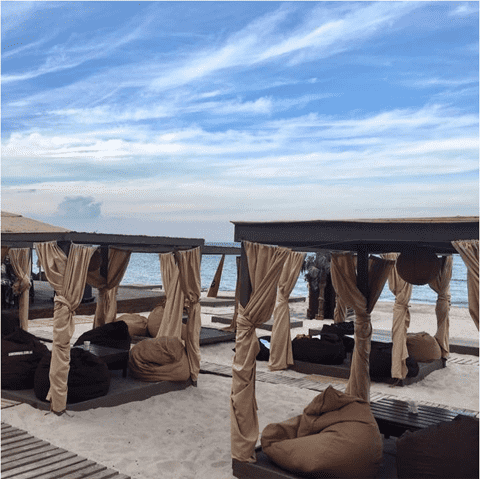 It has own infrastructure: a bar near the pool, an ideal white terrace with an incredible view of the Black Sea, and also chaise lounges with tents and even sofas. For those who are hungry, there is a restaurant with the best dishes of European and Odessa cuisine. 24-hour beach bar, where parties never stop, but simply flow smoothly into each other. 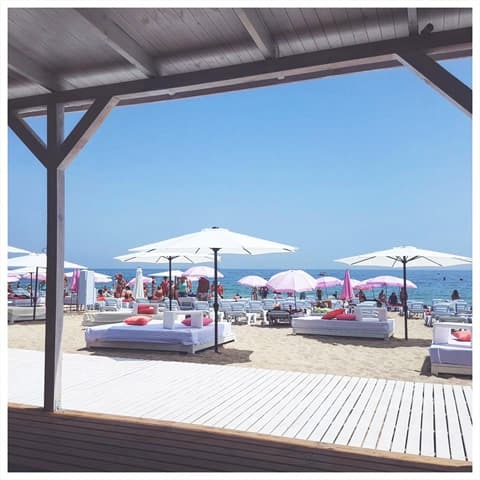 After an incredible night party, everyone moves to the beach with bright pink lounge sofas to continue, but under the sun and with the opportunity to plunge into the cool water. There are neon signs, a large cocktail card and, of course, palm trees. 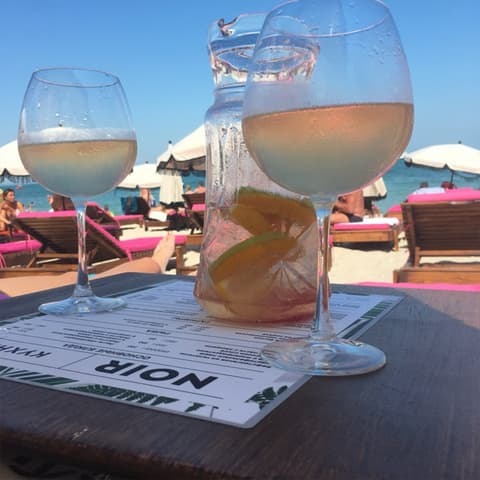 Take everything from summer at NOIR PARTY BAR. Actually, if you just want to enjoy a sandy or stone beach, Odessa is also happy to offer free places, where music comes only from someone’s phone. For example, the beach Lanzheron equipped with a whole platform of wooden decking in order not to be in the sand after the water. And the Odessa Gorpljazh in Otrada does not differ from the paid ones: there are a stage, a bar, a kitchen, and trestles in different variations.